Spring Cleaning is the process of thoroughly cleaning your home in the Springtime. Traditionally this comes from the days when homes were heated by fireplaces, and efforts were made to prevent heat from escaping. The coming of spring and warm weather was an opportunity to air the house and clean it of soot and all the grime accumulated over the winter months. 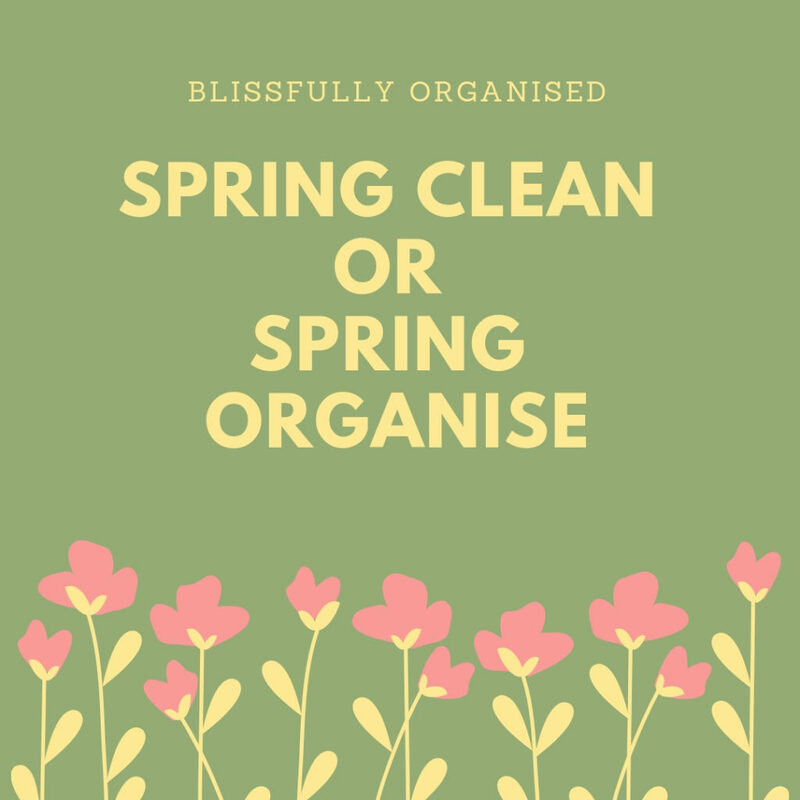 Whilst many more people may not complete a traditional Spring Clean, they still feel Spring is the perfect time to declutter and organise their space. The arrival of spring brings with more day light and warmer temperatures (questionable today as we are face Storm Gareth). Both of which help us feel more energised and generate a desire to get everything in order before the summer months. What are the benefits of Spring decluttering and organising? Is it worth the effort and time? Sorting and organising our space can help reduce distractions and help us gain more time. With ‘a place for everything and everything in its place’ you’ll spend less time looking for misplaced items and be able to proactively manage your time. Clearing and organising your space allows you to set up effective systems to simplify your home management and put into place effective daily habits to reduce the future build-up of clutter. Having clear systems in place and effective daily helps helps to reduce stress. The key to success is to purge before you organise. This is simply to decide what you need to keep and the items you no longer need before deciding how and where to store everything. The easiest way to be organised is to have less stuff. 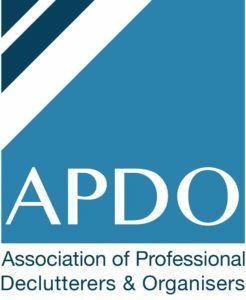 Wardrobes – has your wardrobe become a floordrobe? Books/DVDs/CDS – manage your book collection and decide in you still need your DVDs and CDs. The majority of my clients are now streaming videos and music. Once you have completed the sorting process and decided which items to purge (recycle, sell, donate) you can start to think about organising your space. ‘A place for everything and everything in its place’. Think about storing items for convenience and easy access. Items that you use less frequently can be stored in less accessible places or archived away. I wish you success with your Spring decluttering and organising. Once it’s done you can look forward to the summer months knowing that everything is in order and enjoy the benefits of a simplified home management system.If you need support with induvial areas or your whole home I’d be delighted to support you.